Lately, the sale of air fresheners has soared. You will be shocked to discover how their ingredients can affect us as well as create harmful effects. Before you spray the summer breezy fragrance in your room, here's what you need to know. 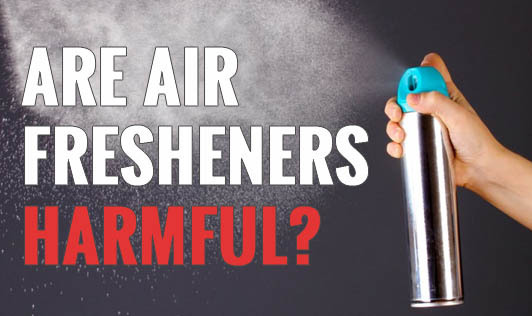 The Natural Resources Defence Council (NRDC)-an international environmental organization-conducted a study called, "Clearing the Air: Hidden Hazards of Air Fresheners" in which they found 86% of air fresheners tested contained dangerous phthalates. Phthalates are used in automobiles, plastic softeners, paints, pesticides, children's toys, and cosmetics.